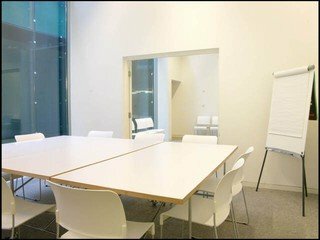 This is a beautifully designed contemporary dance school and event venue situated close to the vibrant and historic town centre of Greenwich. 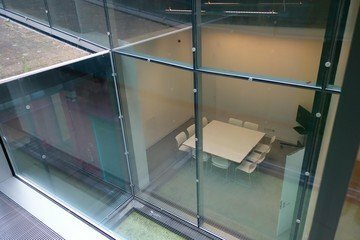 The building itself was designed by Herzog and Meuron, the award winning Swiss architects, celebrated for designing the Tate Modern and Olympic Stadium in Beijing. 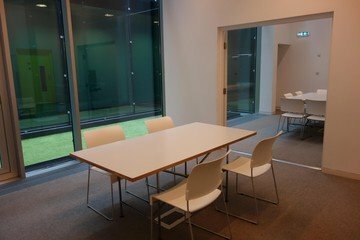 Part of the building’s many diverse event spaces are the contemporary meeting facilities. 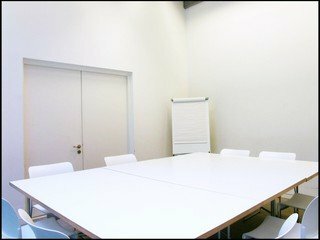 This space is the smallest of 3 meeting rooms, accommodating 10 delegates and featuring a flipboard and attractive furniture. 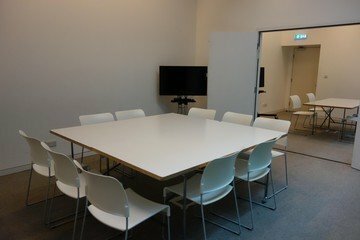 The room can also be hired for half days (up to 4 hours including setup and de-rig) for £180. Price does not include VAT. Hire space in one of our many other event and workshop spaces with Spacebase. 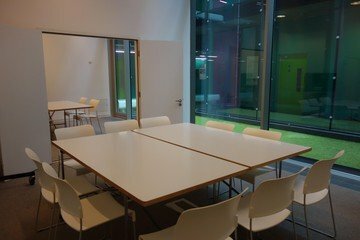 We also offer meeting rooms, studios, theatres and a large outdoor space available for venue hire in this impressive location. Flexible opening times upon request.